Battlefield 1 players looking to solve the depths of the game’s most elusive puzzle have hit pay-dirt. Translated morse code and a hunt to find hidden symbols yielded an underwhelming reward: a measly dog tag. The key to the puzzle was time. When a series of morse code messages appeared in Battlefield 1 in October, attempts to decipher them lead nowhere. A previous Easter Egg in Battlefield 4 tasked players with translating morse code into Belarusian but the messages in Battlefield 1 were garbled nonsense. That changed in November. YouTuber jackfrags has broken down the process for solving the mystery. The process changes for each player. Messages will send them to certain maps. At each point, they will find a hidden symbol in the environment. This unlocks a new communication that will send them to their next map. Each new message requires a different cipher to translate. It starts simple enough, with a portion of the message reverse, before building to ROT ciphers and Vigenére ciphers that require a pass phrase. You can read the breakdown of each cipher here. It’s an intense process that changes somewhat from player to player. A simple dog tag that alludes to a beginning. What is beginning? Why does this dog tag not belong to you? It’s not really clear. But players who have the tag will encounter a new morse code filled with odd gasps and ghostly screaming. 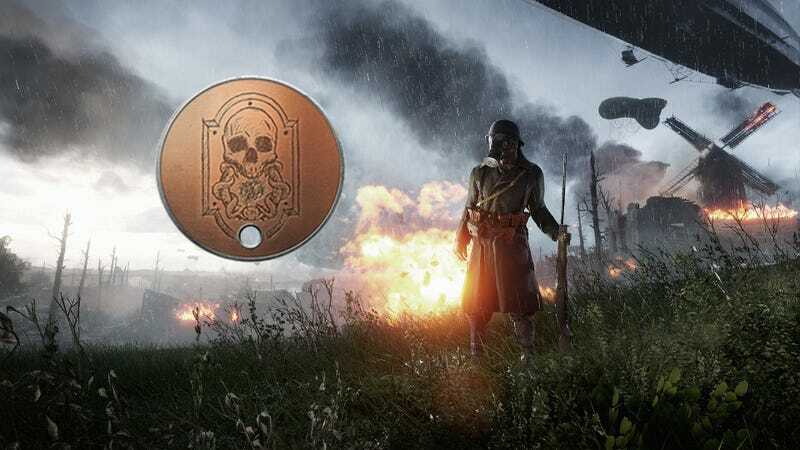 Even if the reward at the moment is just a crummy dogtag, it would seem that this is certainly not the end of Battlefield 1's mysteries. And maybe that’s the point? Maybe the real dog tag was the friends we made along the way.